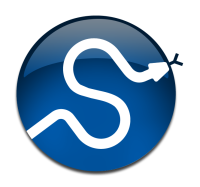 SciPy is a collection of mathematical algorithms and convenience functions built on the Numpy extension for Python. It adds significant power to the interactive Python session by exposing the user to high-level commands and classes for the manipulation and visualization of data. With SciPy, an interactive Python session becomes a data-processing and system-prototyping environment rivaling sytems such as MATLAB, IDL, Octave, R-Lab, and SciLab. The additional power of using SciPy within Python, however, is that a powerful programming language is also available for use in developing sophisticated programs and specialized applications. Scientific applications written in SciPy benefit from the development of additional modules in numerous niche’s of the software landscape by developers across the world. Everything from parallel programming to web and data-base subroutines and classes have been made available to the Python programmer. All of this power is available in addition to the mathematical libraries in SciPy. This document provides a tutorial for the first-time user of SciPy to help get started with some of the features available in this powerful package. It is assumed that the user has already installed the package. Some general Python facility is also assumed such as could be acquired by working through the Tutorial in the Python distribution. For further introductory help the user is directed to the Numpy documentation. Scipy and Numpy have HTML and PDF versions of their documentation available at http://docs.scipy.org/, which currently details nearly all available functionality. However, this documentation is still work-in-progress, and some parts may be incomplete or sparse. As we are a volunteer organization and depend on the community for growth, your participation - everything from providing feedback to improving the documentation and code - is welcome and actively encouraged. Python also provides the facility of documentation strings. The functions and classes available in SciPy use this method for on-line documentation. There are two methods for reading these messages and getting help. Python provides the command help in the pydoc module. Entering this command with no arguments (i.e. >>> help ) launches an interactive help session that allows searching through the keywords and modules available to all of Python. Running the command help with an object as the argument displays the calling signature, and the documentation string of the object. Set to True if fval and warnflag outputs are desired. function of one or more variables.